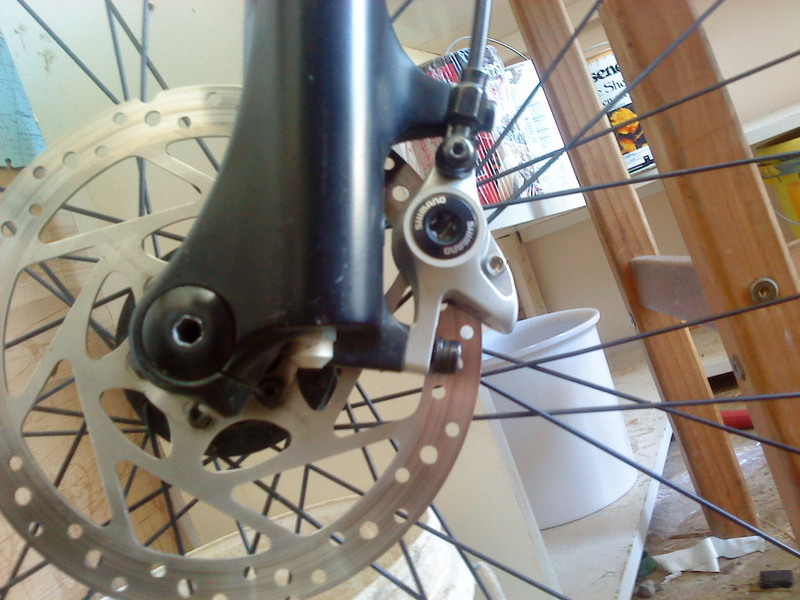 Thread: Caliper bolt won't go into front fork what to do? As seen in the photos my caliper bolt that goes into the fork is stuffed, i believe it does not have any more thread left inside? 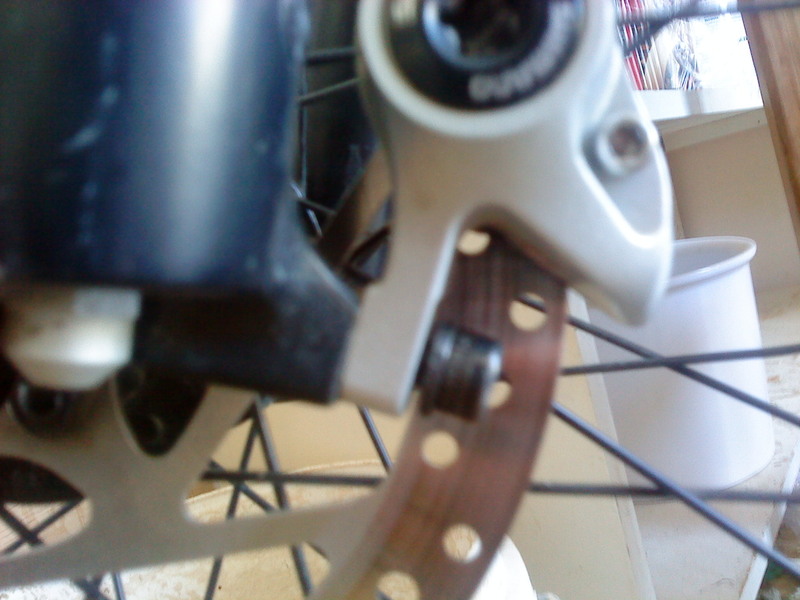 but anyway i can not screw it in any further and this means the bolt is very loose. This is extremely dangerous. Any solutions would be helpful. Thanks. Add more washers under the bolt head. Take it to somebody that knows what they are doing. Any chance you have the top bolt in the bottom and the bottom bolt in the top? Ah yeah that does sound like what i did lol. 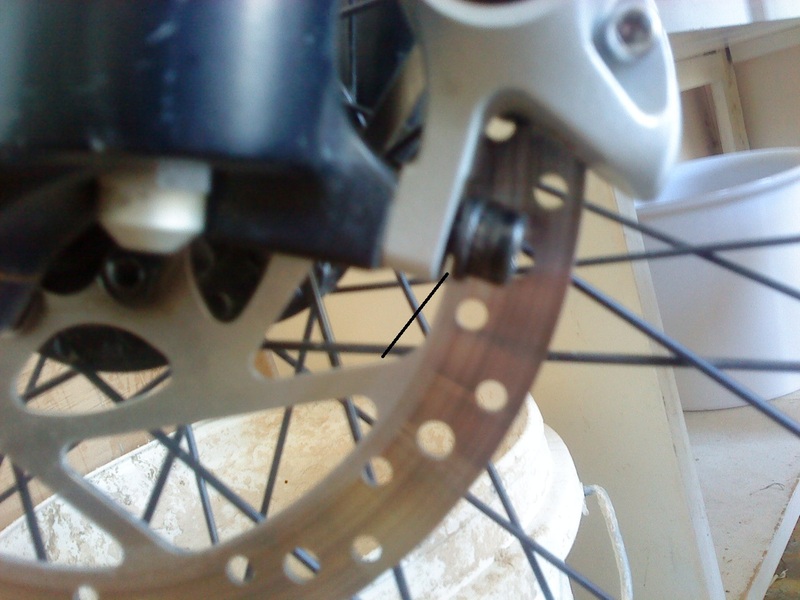 I was centering my brakes and tighten it up real hard. Thanks for advice. EDIT: Just tried adding some extra washers, no luck. The bolt does not even stay in. It looks to me the inside thread of the fork is completely striped. RSabarese what is a 6mm helicoil? Last edited by Shadow_Intel; 11-13-2010 at 10:44 PM. After you helicoil it, don't be a gorilla when you tighten the bolt. It doesn't have to be much beyond good and snug. If you have a torque wrench, use it to torque the bolts to about 5 Nm or so. Hmm i see. What size would it be? 6mm? I'm guessing it's an M5 bolt. Take it with you to the hardware store when you go to get the helicoil and they'll match it up for you. Sorry for the late response, but it looks like your on your way to a 6mm helicoil. Once you get the helicoil, foll the directions to a tee. Should take 15 minutes and you'll be good as new.